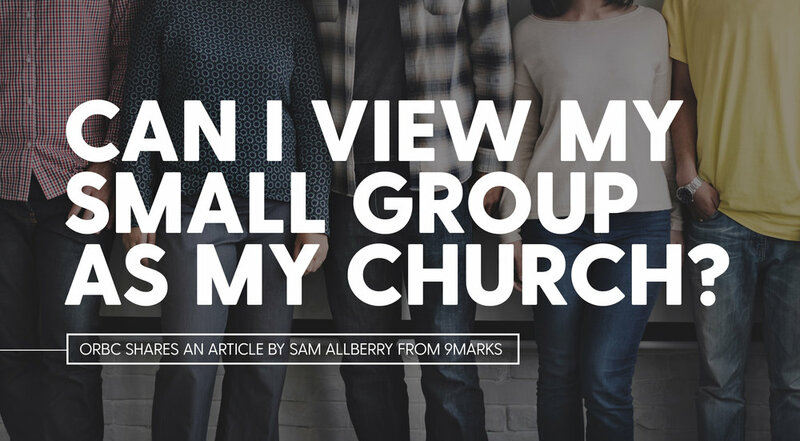 Can I View My Small Group as My Church? "Many churches run some kind of small-group ministry. Groups of varying size (typically ten or so believers) tend to be one of the best contexts for discussion of Scripture, and for sharing needs for support and prayer. During a main Sunday gathering, there might not be the same kind of opportunity to interact at this level, so small groups tend to be where some of the most vital “one another” ministry takes place. Relationships are depended, insights are are shared, and the problems and difficulties in life are discussed and addressed. Because of all this, it can be easy for such a group to become the main focus of its members’ spiritual lives. The group becomes, in effect, church..."